MForesight is embarking on a new, important project for the future of U.S. manufacturing. We will be exploring the technological and economic ramifications of the loss of critical, interdependent manufacturing capabilities—the Industrial Commons—on the long-term health of U.S. manufacturing and the U.S. economy. We are concerned that more industrial companies are moving R&D capabilities abroad, that the critical linkages between product and process innovation are being lost, and that we are losing the ability to manufacture new technologies emerging from federal research investments and start-up companies. Others have documented some of these trends; MForesight intends to focus national attention and mobilize appropriate public and private response. Our intent is to hold multiple roundtables around the country. The first will address the technological aspects of the issue, scheduled for January 18 in Boston. The second will address relevant policy issues and incentive structures, scheduled for January 22 in Washington, DC. 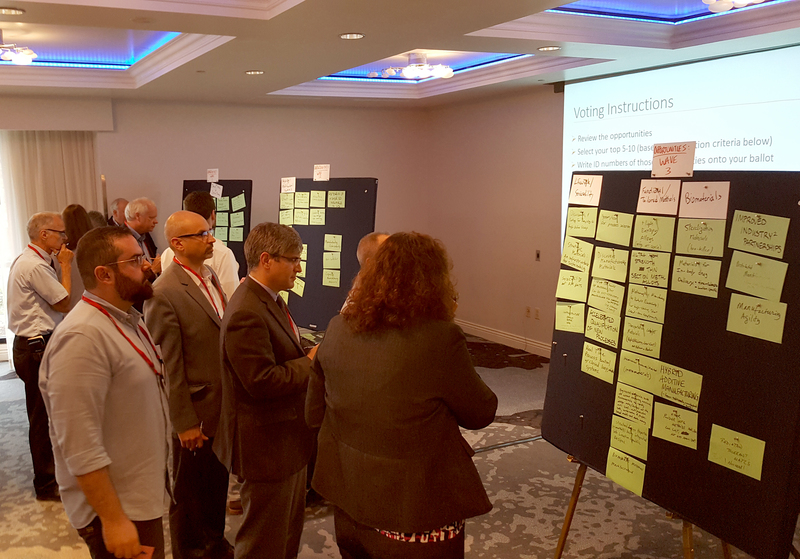 Additional roundtables are planned for San Jose, and manufacturing hubs in the Midwest, and the Southeast. The output of these discussions will provide the foundation for the MForesight National Summit in May, as well as subsequent deep dive studies of technologies and production capabilities essential to rebuild the national Industrial Commons. MForesight firmly believes that addressing these issues and devising solutions is the next Grand Challenge for U.S. manufacturing. We are determined to raise the national debate and generate effective action. If you have any questions about this effort, please contact us at info@mforesight.org. If you are interested in being notified when the report is released, please fill out this form. 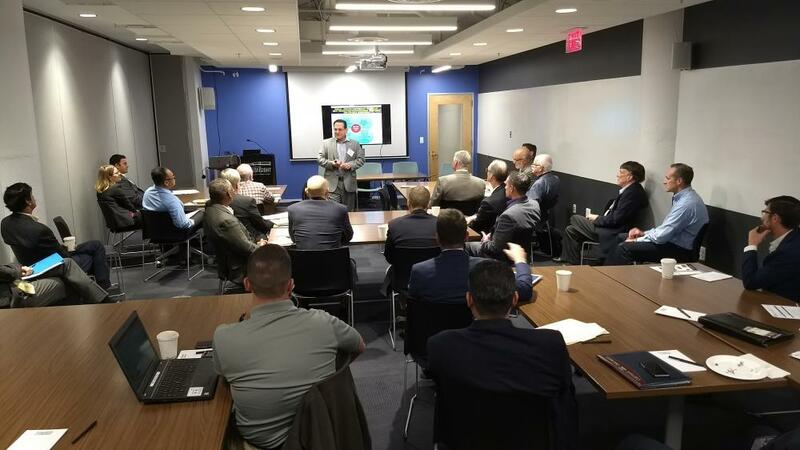 MForesight and the Computing Community Consortium celebrated the release of the report Cybersecurity for Manufacturers: Securing the Digitized and Connected Factory by giving a briefing in Washington, DC on Friday, September 22. This is a critical topic that MForesight chose to address since there are manufacturing-specific cybersecurity challenges. You can read more about the event or watch a video recording. Special thanks to the House Manufacturing Caucus for hosting and recording the event. The National Association of Manufacturers (NAM) hosted a webinar about the Cybersecurity for Manufacturers report on November 9, 2017 to help us connect with other interested members of the manufacturing community. Leadership Council members Jim Davis, David Vasko, and Mike Russo along with Executive Director Sridhar Kota discussed the report’s recommendations. Brian Raymond of NAM moderated the webinar. Thanks to all who attended! We continue to build our network and share MForesight’s vision with the manufacturing community and beyond. Principal Researcher, Josh Bishop-Moser, attended Materials Science & Technology 2017 (organized by TMS) in Pittsburgh, PA in early October. He met with researchers and continued gathering gamechanger ideas. To continue building MForesight’s network and learning about other manufacturing initiatives, Senior Technology and Policy Specialist, Mario Urdaneta, has attended a variety of relevant briefings and discussions in Washington, DC, including the briefing Manufacturing Jobs and Innovation in the Rail Industry, the National Academy of Sciences meeting The Role of State Governments in Economic Development and R&D Competitiveness, two workshops on nanotechnology: Scalable Nanomanufacturing of Integrated Systems and Nanotechnology Commercialization Pathways, and more. If you know of events that may be of interest for us to continue building our network and sharing MForesight’s work, please send a message to info@mforesight.org. From November 6-9 in Chicago, MForesight joined SME and over 50,000 attendees at FABTECH. Executive Director Sridhar Kota participated in a panel on Monday talking about how advanced manufacturing is transforming the economy and jobs. 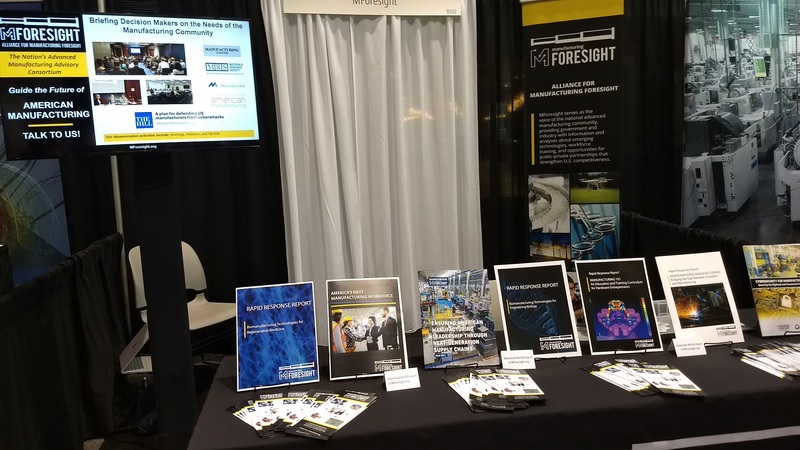 We hosted a booth to share about MForesight and we also surveyed attendees throughout the exhibition floor about challenges and opportunities in advanced manufacturing. This information from the front lines of manufacturing will help us ground our work. Thank you to the over 1,000 people who stopped to talk to us! MForesight is looking forward to meeting with the Leadership Council on March 8, 2018. We will be learning more from each member about the manufacturing challenges their organizations regularly face, and soliciting guidance for the coming year. Thank you in advance to LC member Randy Schiestl and Boston Scientific in San José, CA for hosting us! MForesight recently celebrated its 2-year anniversary. Read our special blog post which highlights a few of our achievements: MForesight is Turning 2!